While the industry may be moving towards greater inclusion and diversity, recently a growing issue has emerged for the sign language community: hearing actors are being cast in roles that require British Sign Language and they are not up to the job. The issue is not about Deaf roles going to hearing actors, which should not happen, but about tick-box use of sign language, without taking the time to check if an actor can sign to the highest standard possible. I am a hearing actor and a child of Deaf adults. My first language is BSL. I am also a qualified sign language interpreter. I do not speak for the Deaf community, but instead as someone who lives this language and wants to see a cultural change. BSL is a rich language with its own grammatical structure. It has a rich history with a wonderful community and should never be used or seen in a tokenistic light. But in the desire to become more inclusive, it seems, sadly tokenism is on the rise. By having a character that knows BSL, you immediately have a responsibility to reflect the community that uses the language and it deserves to be represented properly. 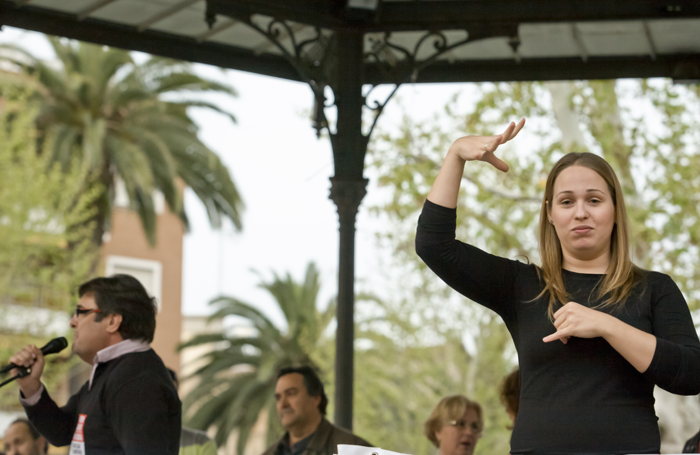 When presenting sign language in a piece, BSL users need to understand it. It is the same as casting someone with little to no English in an English-speaking role and hoping they accurately represent an English person. I have heard of many auditions over the years where actors with little more than the basics are getting roles for which they are not qualified. Recently, in an audition, I heard an actor say he had “learned a bit from a Deaf girlfriend a few years ago” and went on to get the role. If the character is a basic BSL user, it is still important that the actor has fluent knowledge of the linguistics and structure to be able to produce an accurate reflection of how people in the Deaf community understand those that sign. It takes, on average, seven years to become fluent and that’s with a recommended involvement in the community. Maybe Equity could set some standards for casting. I recently had a positive conversation with Spotlight about introducing standards on its actor profiles grading sign language skills from basic to fluent. Hopefully this helps, but there still needs to be a cultural shift. You cannot expect actors to be fully understood by BSL audiences if a Deaf BSL user does not vet them. You can cast a basic BSL user but by not vetting, you run the risk of poor representation. Why not have Deaf BSL users in the audition room to vet the language? In fact, audition rooms should have a Deaf consultant before and during the process. It is not recommended to have an interpreter vetting. These are steps in the right direction but we have to move past the industry using sign language as a tick-box exercise or as a creative design. It is time the industry ups its game.